Chances are someone (or several someones) you know has booked an Airbnb rental. And if you haven't jumped on the bandwagon yet, we're guessing you're at least intrigued by the community-sourced hospitality company. And with good reason: to date, more than 60 million guests have booked one of Airbnb's 2+ million listings — apartments, castles, villas, yurts, lighthouses and more — in more than 34,000 cities and 190 countries. Even the skeptics among us have to admit Airbnb has earned an impressive crowd of fans. So let's say you're thinking of giving Airbnb a go this year. How do you start narrowing the gazillion options into real possibilities? (2) unconventional listings that might just strike your fancy and thirst for adventure (or art, or nature, or culture — whatever floats your boat). Common threads among these neighborhoods are art, food, outdoor experiences and shopping. 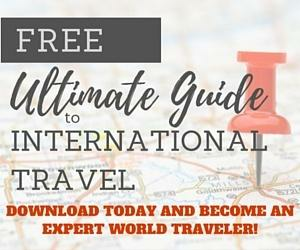 If you're itching to know more, you can read about each of these destinations in this comprehensive report. Once you've selected your destination, it's time to consider the type of accommodation you want. An apartment? A house? Want to share space with a landlord, or have the whole place to yourself? The options don't stop there. You'd be surprised by the variety of experiences available to you, from castles to yurts, windmills to tree houses, horse ranches to fairytale cottages, and even homes of famous authors (for reals). You can view a rich menu of accommodation categories here. While there's no jerk-free or fool-proof safety mechanism, Airbnb tries to alleviate customers' apprehensions by verifying hosts' IDs (meaning they are who they say they are) and providing 24/7 customer service to troubleshoot any mishaps. But the acid test of a trustworthy, considerate Airbnb host? Reviews from past guests. It's important to note, however, that even the most considerate host can't protect you from potential accidents (like a tree falling on someone — which really happened). It's why Airbnb urges customers to sign up for traveler's insurance in case of an injury or emergency during a trip. 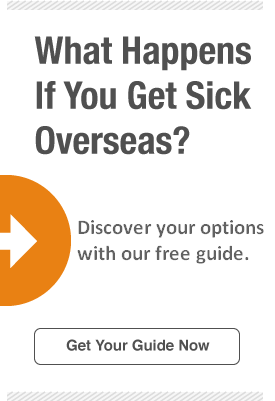 Travel insurance is relatively affordable, Airbnb points out, and can cover ER stays to physical therapy- even terrorism and natural disasters, in some cases. You can review what's covered in our Atlas Premium insurance here. Look for hosts with a strong reputation: check for verified phone numbers, connected social networks, references, and guest reviews. Pay and communicate with hosts on Airbnb. Decline any requests to take the transaction outside of the Airbnb platform. Sign up for traveler's insurance. Check for travel warnings and advisories. Make copies of documents and keep them safe. Airbnb or no Airbnb, increase your chances of having a smooth, safe visit wherever you go by making safety precautions a can't-miss travel essential, right alongside your sunscreen, passport, and selfie stick.